Did that make you smile? It certainly made us giggle, which is why we chose it as one of our winners from our Easter Joke Competition. Well done Naomi, an egg cup is on its way to you. What happens if you play tabletennis with a bad EGG? …….. First it goes ping then it goes pong! If an egg is floating down through the Thames barrier, where has it come from? Thank you Su, your prize will be with your shortly. Now, don’t you feel better already!? We know many of you are big fans of Feather Down Farm Days, and we love what they do, so it seemed logical for the two of us to cuddle up and bring you a brilliant competition. 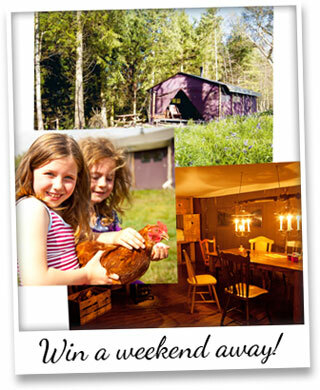 They’re offering you the chance to win a weekend break for your family, at one of their fantastic farms. Simply enter the competition and you could get yourself back to a bygone era, before electricity and the many distractions of the modern age. 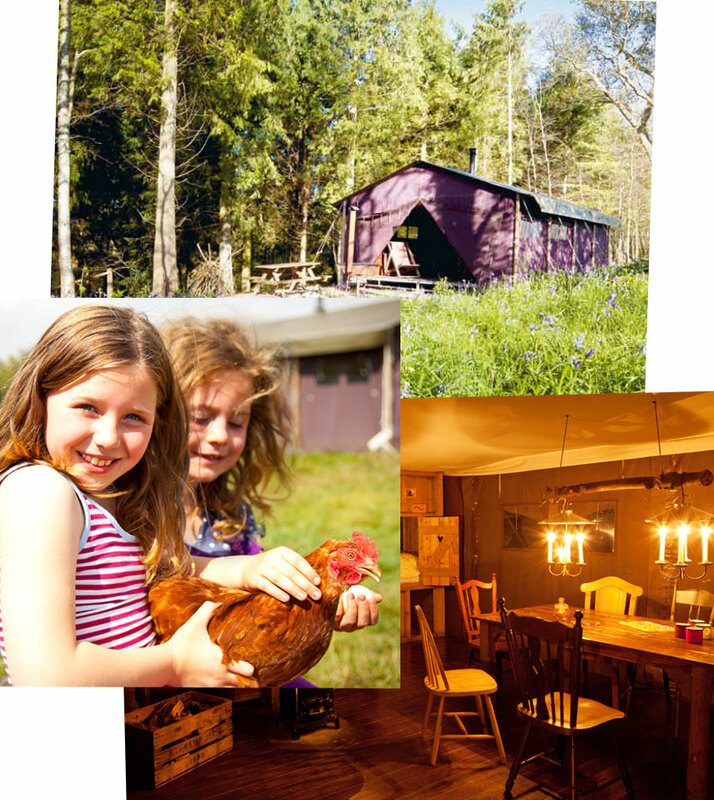 Staying in one of their cosy tents, you’ll learn to live life on the slow and to let your children roam free in the Great British countryside. You’ll meet a few chickens along the way too! Want to keep chickens but worried that the local fox might get them? It might be time to invest in an Eglu. 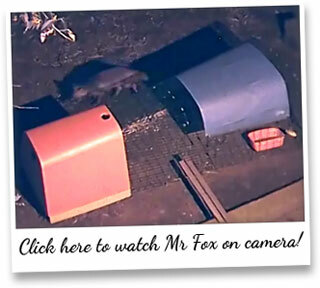 Eglu Go owner Jeff recently sent us some footage of a fox trying to get into the Eglu. The fox has been a regular visitor to his garden, but has had no luck in getting to the hens. Our Eglus are designed to keep predators out, with a wire mesh, anti-tunnel run that prevents anything from digging in. You can shut the hens in the Eglu house at night for eggstra security, and let them back into the run in the morning. Meanwhile, Mr Fox will go elsewhere to find his dinner!